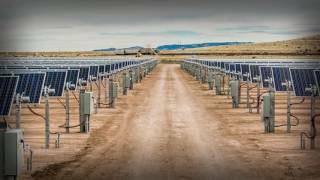 DEPCOM Power is a leading Development Support, Engineering Procurement & Construction (EPC), and Operations & Maintenance (O&M) services provider for the Utility-Scale Solar industry. The company features in-house civil, structural, electrical, and high-voltage engineers. DEPCOM Power’s founding team has a collective 225 years of conventional and renewable power industry experience, and has set out to build a best-in-class company, centered on team, shareholder, and customer satisfaction.